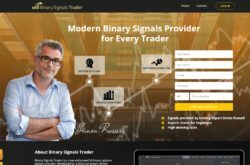 In this review we analyze Binary Signals Trader of Simon Russell and we explain why we don’t recommend it. Russell allegedly is a trading expert who provides binary options trading signals through Binary Signals Trader for you to copy. The software also can work on autopilot. The win ratio of Binary Signals Trader allegedly is up to 86 %. And you can get all the signals for free, so you can get rich for free. Really? The first thing we noticed is that Simon Russell is a fictitious character. His picture is a stock photo, so it is not a real expert trader. Moreover we could not find any information about a professional trader of this name. Our conclusion therefore is that Simon Russell does not exist and that the trading signals are generated by somebody else or by a software. Therefore we consider Binary Signals Trader to be a scam. We still wanted to test the trading software, but after registering we were immediately asked to deposit money with an unregulated broker in order to activate the software. So Binary Signals Trader is not free. This means that people who run this scam want you to immediately start trading with real money, which is very dangerous! And because they push you to a certain broker, it is clear that they are getting paid by this broker for referring new depositors. This is obviously their main aim, to earn affiliate commissions. Binary Signals Trader doesn’t have to be profitable, because they will earn their commission no matter your trading results. Binary Signals Trader is a scam because Simon Russell is a fake identity. Stay away from it! 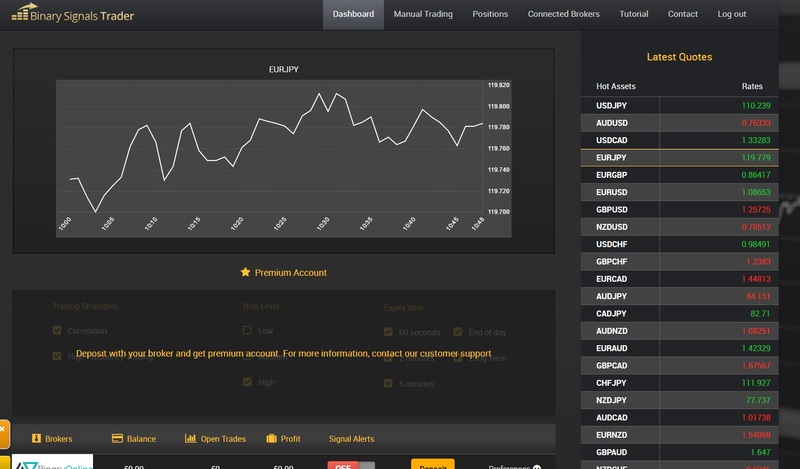 If you want to learn to make money with binary options, use a free demo account with a regulated broker for that purpose. Test on the demo until you see consistent profits, only then you can start trading with real money.